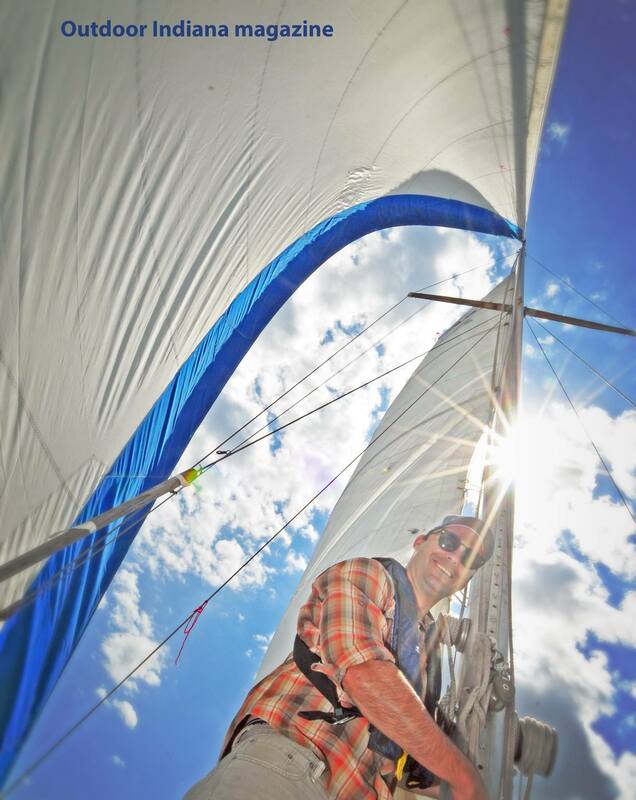 Chief Writer Nick Werner from the Indiana DNR aboard the Indiana Sailing Association vessel Laura. Photo courtesy of the Indiana Outdoor Magazine and their photography John Maxwell. The Indiana Outdoor Magazine, a publication of the Indiana Department of Natural Resources, joined the Indiana Sailing Association and students from East Chicago High School during a recent sailing session at the East Chicago Marina to gather notes and observations for an upcoming feature story for the magazine. Students from East Chicago High School participated in the buoyancy module of a unique STEM-based sailing curriculum to help the students better understand the dynamics behind what makes things float. The session included the hands-on construction of simple clay boat hull models crafted by the students to help them gain insights into fundamentals of buoyancy. Following the on-shore classroom time, students engaged in the hands-on sailing tasks aboard two different vessels on Lake Michigan as they took turns performing various tasks aboard helping to pilot the boats. Information about the article will be shared here at the Indiana Sailing Association website when the article goes into official publication.